Renewable energy technologies will supply between 5% and 8% of the world’s mining industry power consumption by 2022, according to research released last week by Navigant Research. The report, which analyses the global market for renewable energy in the mining industry, predicts that renewable energy will pick up significantly in the industry, as innovative finance mechanisms increase. According to Arthur Chien, CEO of Talesun Energy, increased adoption of renewable energy practices is the key driver to achieving a sustainable future for South Africa’s mining sector. Chien says that the mining sector consumes copious amounts of energy and therefore cannot afford to ignore increasing electricity prices. 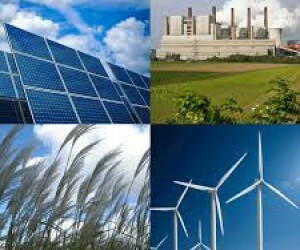 He says that investment in renewable energy is the only viable solution for the industry to ensure reliability of electricity flow, reduce electricity bills, improve carbon and greenhouse gas emissions, as well as reduce negative environmental impacts of operations. Chien says finance mechanisms like green banks and climate bonds by green banks, corporations, governments, or agencies, to finance renewable energy projects, are a feasible way for South African mining companies to raise capital for renewable energy projects. He explains that the issuer earns their return on investment through the payback on energy savings, feed-in tariffs to the national grid, or via an issuing entity which would provide financing with low interest rates and extended payback times. Furthermore, Chien says renewable energy is a practical option for mining companies that operate in remote, isolated areas where grid power is unreliable and more costly. “By including emerging renewable energy strategies and technologies such as PV solar modules into their business models, South Africa’s mining sector can be more efficient in terms of energy consumption. In doing so they will improve energy usage, security of energy supply and long-lasting contributions to the environment,” he concludes.